Click on the API you are interested in (here are all of our APIs) and see how to get started. You will get the docs and technical walktroughs. 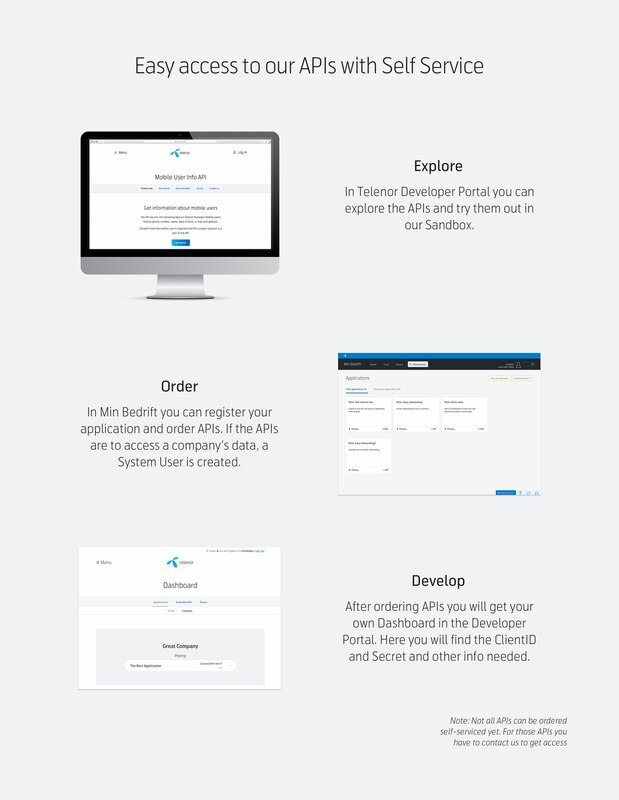 You can try the APIs for free in our sandbox or order them in Telenor Min Bedrift. Note: for access to the APIs that are not ready for self service yet, you will have to use the contact form. Our APIs are for different areas of usage. 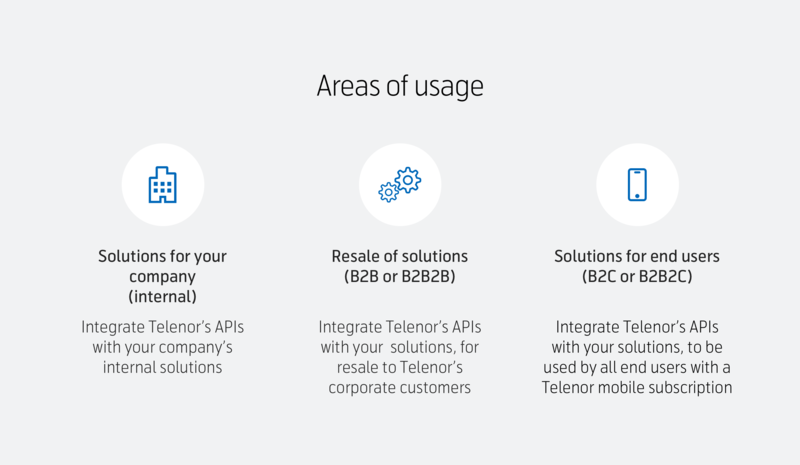 In the ordering process you have to choose which area of usage the APIs are for. APIs from different areas can not be combined in the same application. Under each API product it is described which area is supported.